Where do you want to be this year when the clock strikes twelve for the first moments of 2019? From Crazy Rich Asians themed year-end blowouts to live jazz-fueled parties, we’ve picked out the most spectacular rooftops, the best libations and bites, and the most atmospheric ways to ring in the new year in Hong Kong. Don your opulent best and ring in the new year in an extravagant ‘do a la Colin and Araminta’s nuptials at this party themed after this year’s biggest hit rom-com. 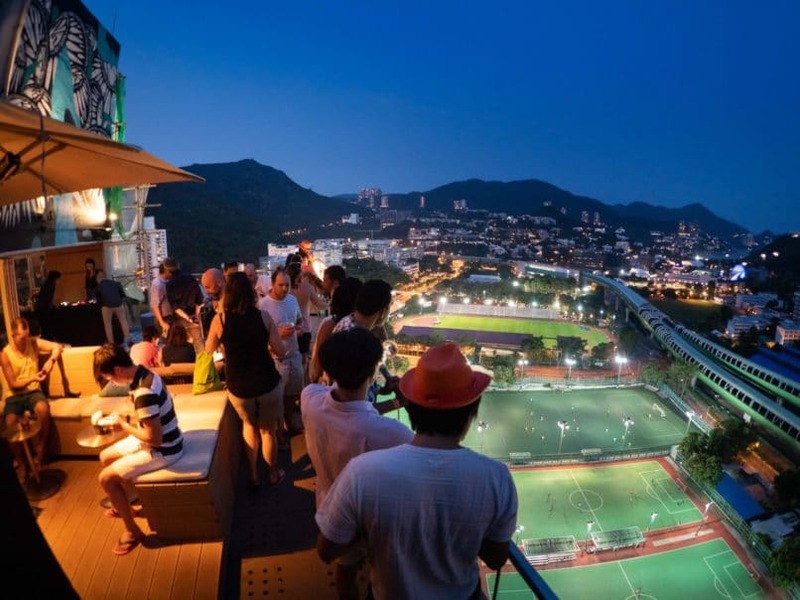 Hosted at Ovolo Southside, a live band, DJ, free-flow cocktails and canapés, and stunning rooftop views over the Southside from Above at Komune make for a fabulous way to ring in the new year. 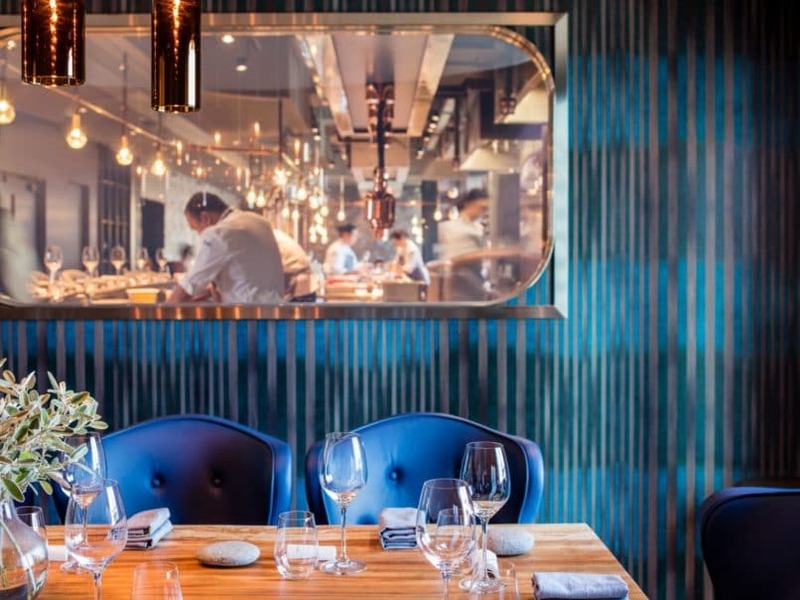 You can also opt for a 3- or 5-course South American-inspired dinner with wine pairing option from 7pm at Komune downstairs. If a sky-high countdown is what you’re after, head to Popinjays at the top of The Murray Hotel, the ideal spot in the heart of the city for a show-stopping new year’s bash. There’ll be immersive performance art featuring the “clockwork doll” as well as tunes by DJ Indigo. HK$500 gets you a complimentary glass of champagne and unlimited beer, while HK$988 will offer free-flow champagne, beer and house wines. 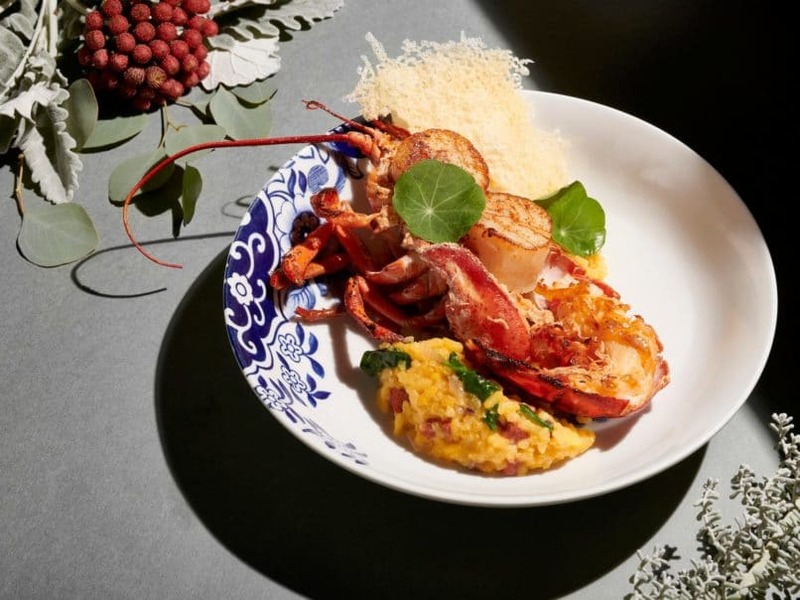 Those dining at the restaurant already can enjoy complimentary entry, and tack on HK$200 for a glass of champagne and free-flow beer. 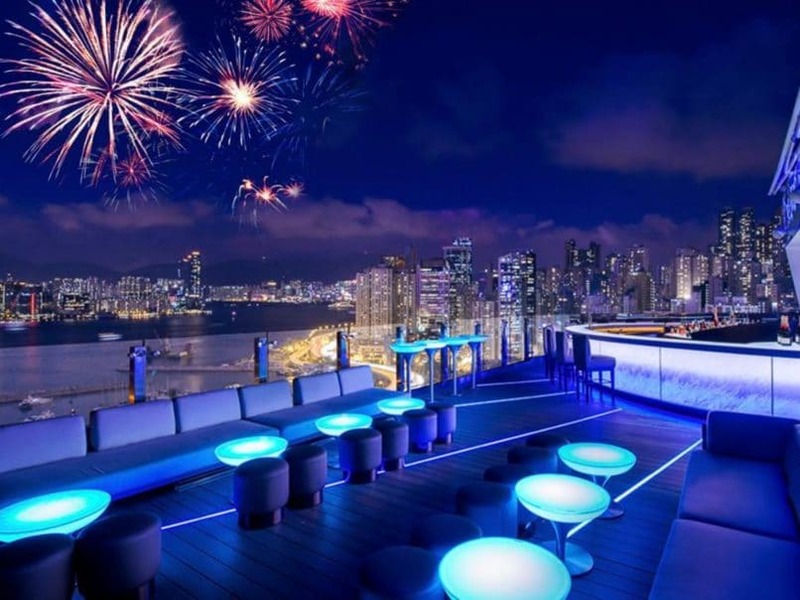 Looking for the ultimate view of the fireworks this New Year’s Eve? High atop the Park Lane Hotel you’ll find the most direct vantage point overlooking the harbour. Looking for a sophisticated soirée to ring in the new year? Café Gray Deluxe at the Upper House promises an unforgettable fireworks display, 49 floors up in the midst of Hong Kong’s skyscrapers. 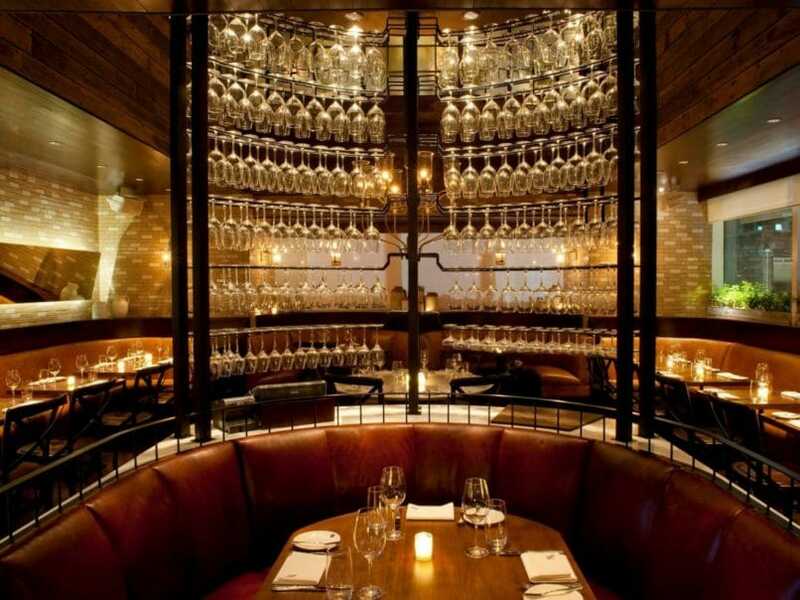 There’s a 6-course dinner menu available with wine pairing, but guests can also opt to join just the countdown party. Afterwards, head to the Sky Lounge with music and drinks carrying on until the early hours of 2019. A Crazy Rich Asians dress code applies, so reserve your most extravagant partywear for the occasion! Party like it’s 1989 at this New Year’s fete, with the return of Grand Hyatt Hong Kong’s renowned nightclub JJ’s. The Grand Hyatt Steakhouse will be transformed into the legendary venue for one night only, as we step into what would be its 30th anniversary in 2019. Expect a live band and a glass of 2009 premier champagne before the stroke of midnight; there’s also a set dinner package for those looking for a sumptuous feast beforehand. Trade electronic beats for some old school flair at Foxglove’s classic holiday spectacle, featuring Tokyo jazz ensemble Bloodest Saxophone, where you can swing through to the new year with some big band and bebop, with special soul and blues songstress Crystal Thomas. Don your best roaring 20s garb and dine in to enjoy a Cantonese menu by chef Tony Hung, complete with free-flow Japanese whiskey highballs, premium spirits, house wines and craft beer from 7pm; or tap in to the countdown party with just the beverage package from 10pm onwards. 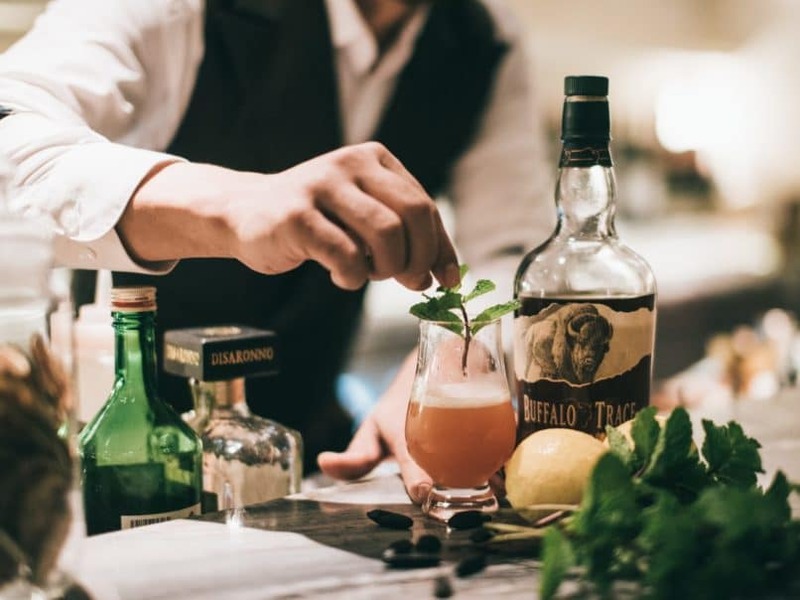 Live DJ, free-flow classic cocktails and other premium libations, all set at one of Hong Kong’s best terrace bars: it’s all you need really, to have an excellent toast farewell to 2018. 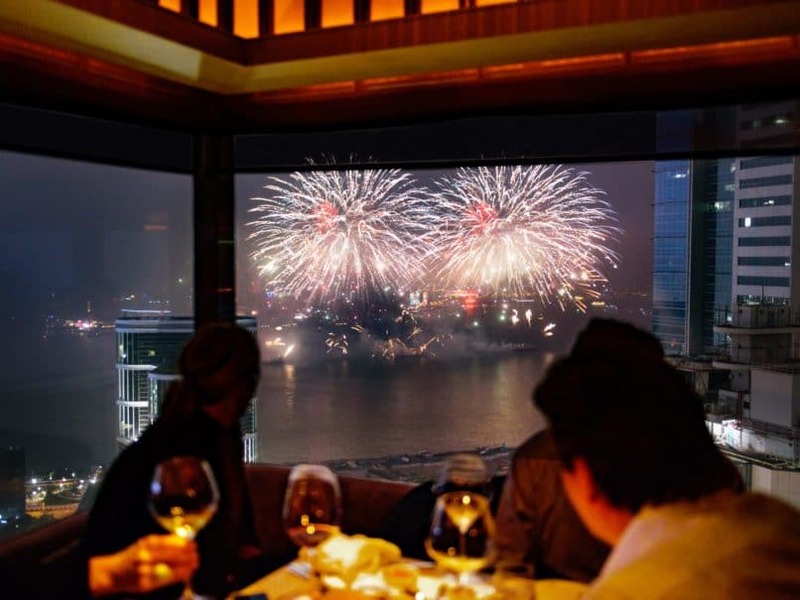 The party starts from 9:30pm following a 4-course dinner seating (HK$1,600 for two, with 10% service charge per head). Looking to get some bubbly flowing to really start celebrating? 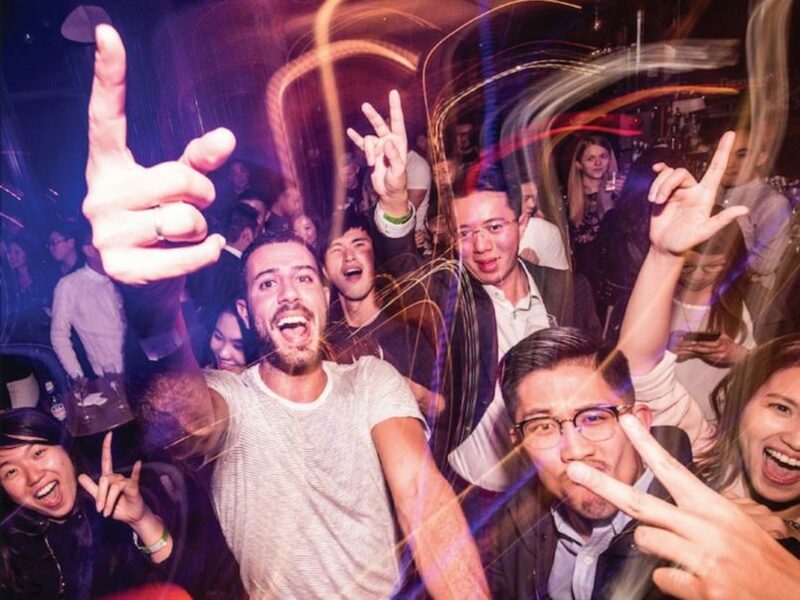 There’s bottle deals for Perrier-Jouët Grand Brut at just HK$700 a pop all night. For all the craziness 2018 has thrown us, it’s fairly apt to celebrate its farewell with a topsy turvy carnival-themed fete at VEA Lounge. Ring in the new year with midnight snacks by Michelin-starred chef Vicky Cheng, countdown champagne and flowing cocktails by Antonio Lai, plus shooters, spirits, wines and beers all night as you groove to fresh tunes by a live DJ on the decks. Book before 24 December to get in on the early bird deal. Looking for the most legendary night out yet to bring 2018 to a close? Lily & Bloom this year is channelling the exalted New York City nightclub Studio 54 for its New Year’s bash. Featuring Cliché Records founder DJ Miya on the decks, you’ll want to bring your best dancing shoes for a night of endless disco gems and grooving until you drop. Open bar includes Veuve Clicquot, cocktails and spirits through to 1am. Price: HK$750 from Ticketflap; HK$900 at the door, HK$300 after midnight. Venetian masquerade meets chinoiserie chic in this rendition of the yearly New Year’s Eve festivities at Duddell’s, a fine celebration of east meets west — and the perfect excuse to dress to the nines! There’s reason why this event is sold out year after year, for the spectacular garden and lounge venue, the free-flow champagne, cocktail and beverage package, as well as delectable Cantonese bites served once the clock strikes midnight — a fantastic first meal for 2019! 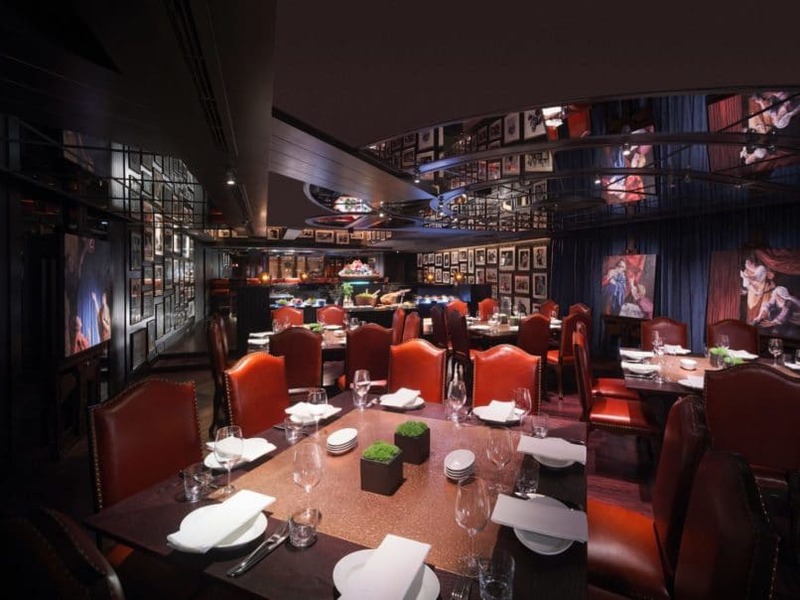 Table bookings available with HK$5,000 minimum spend. 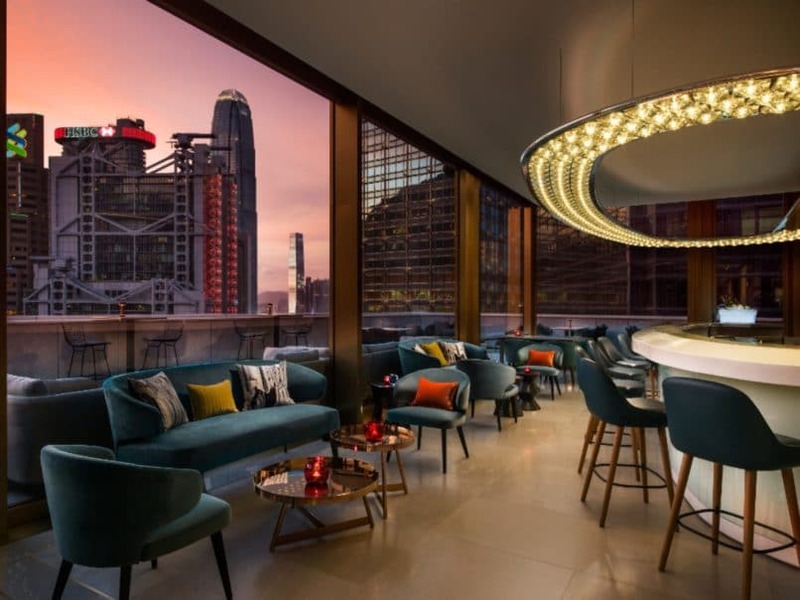 Round out the year in style at one of W Hong Kong’s signature Woobar extravaganzas — the final one before welcoming a fresh start in 2019! With sparklers, flowing Veuve and DJ Shan S on the decks, it’s sure to be an exuberant soiree with endless dancing into the wee hours of the night. Table packages available by reservation at woobar.hk@whotels.com or +852 3717 2889.